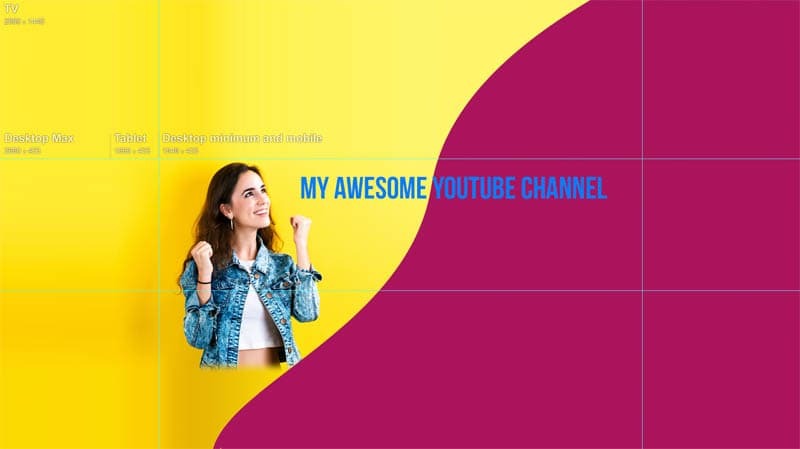 The most important thing you can have to brand your YouTube channel is your channel art. 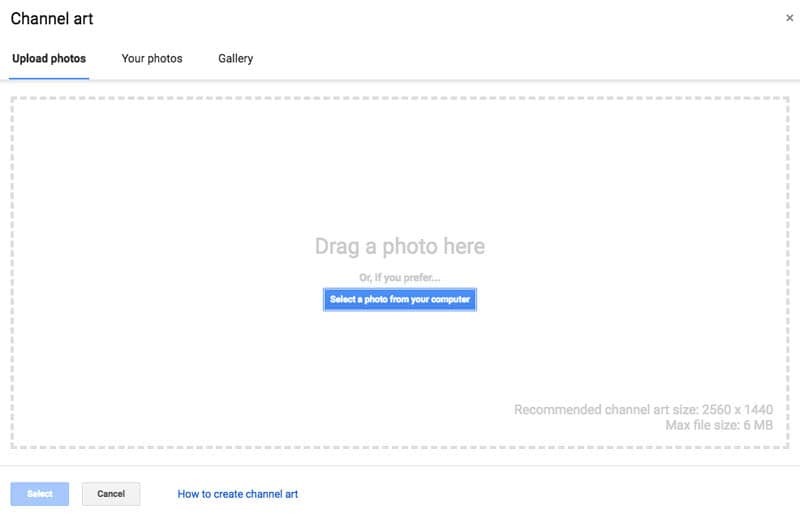 This is where you personalize your channel and add your own personality and style. The colors and style that you pick is entirely up to you. Post your upload schedule and stick to it (as best you can). Just a little side note: I decided I wouldn’t do any training or tips on building a YouTube channel until I reached at least 100,000 subscribers My YouTube Channel here (PhotoshopCAFE) . I don’t want to be teaching anything until I have proved that what I’m teaching works. Thanks to all of you, I passed 100k subscribers Jan, 2018. (That doesn’t mean I’m going to be banging you over the head with YouTube stuff, it just means that I feel like I have a few nuggests I can share now). It’s important that your channel art looks good on all screens that viewers will be watching from: Phones, tablets, computers and TV. This is what the template looks like, open it in Photoshop. Notice the horizontal strip. This is where the important parts of your design should go. 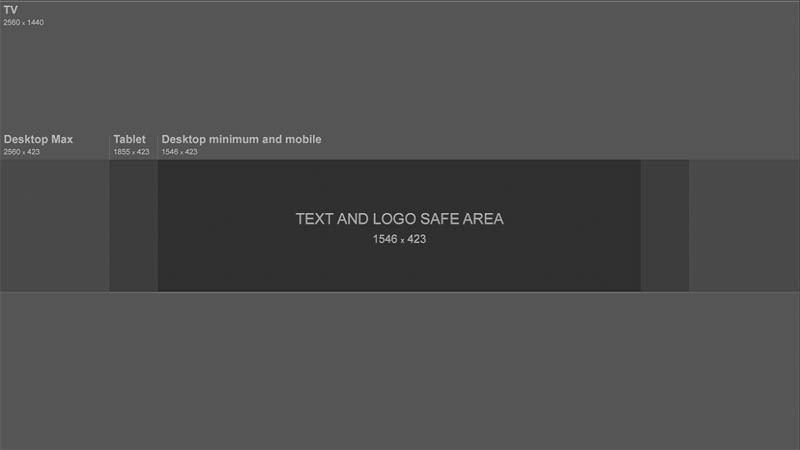 I really design for the Text and logo safe area, because this will be visible on all devices. Notice the desktop and tablets are a little wider. The large area is for people watching on TVs through Apple TV, chrome cast, smart TVs etc. Final size is 2560×1440. When you are done, you will save as a jpg and the file size needs to be under 6mb. My advice: Design for the minimum but make sure the design works on everything. The text overlay is in a separate layer group which can be hidden or shown. Watch the video at the top to see how I design with the template in Photoshop. 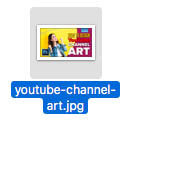 I love to use Adobe Stock to design my channel art. 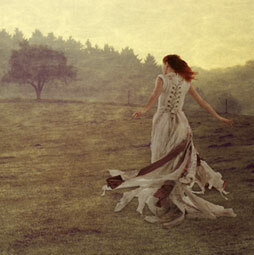 The reason for this is that you can search and download photos directly from Photoshop. Here is a tutorial on using Adobe Stock in Photoshop. Another thing I like about Adobe Stock is that you can use any of the photos for free. They will have a watermark on them, but it’s still good enough for you to try out any photo, or combo of photos, illustrations, textures etc. 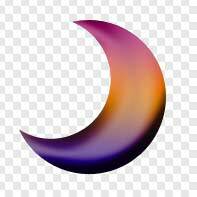 Try different things and when you are happy, you can choose to license the images you want to use and they will be replaced with a high resolution version without the watermark. To get you started, here is a link for 10 free images. Here is my final design, within the template, notice that I created guides to help me know where the text and logo safe area is. Once you have designed your art, it’s time to upload to Youtube. I’m going to show you how in both, the old YouTube layout and the new layout (2018). 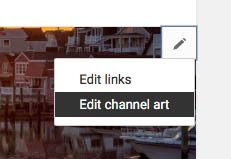 In the new YouTube layout click the camera icon in the top Right. You will now see the uploader. I hope you found this tutorial useful. 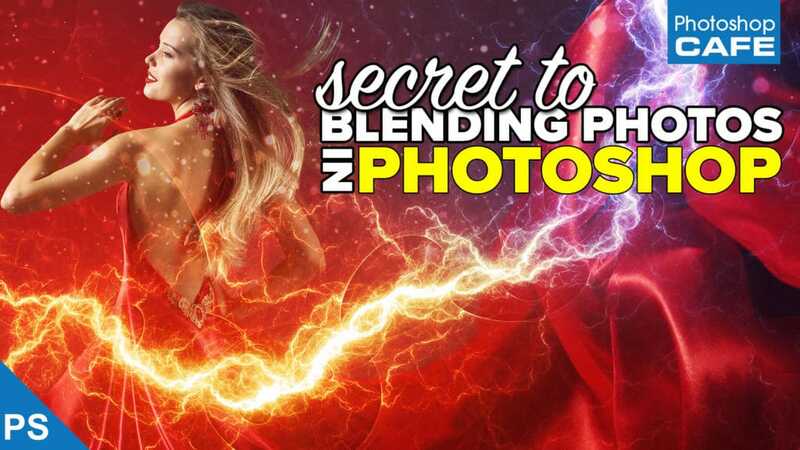 Check out all the other free photoshop tutorials here at PhotoshopCAFE that will help you design amazing channel art, thumbnails as well as lots of other things. Thanks a lot – clear steps, well explained!